Dahl, Jens Peder - Component of : Early Ideas in the History of Quantum Chemistry. J.P. Dahl in 1979 Photograph courtesy and © J.P. Dahl. Jens Peder Dahl was born 1934 in Denmark. He went to The Technical University of Denmark where he got his Masters in chemistry, with biotechnology as his principal subject. 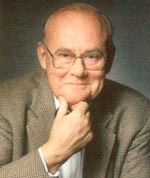 Dahl obtained his Dr. under Ballhausen, spent 1.5 years with Slater at MIT, became Professor of Chemical Physics at the The Technical University of Denmark in Copenhagen in 1972, a post which he held until his retirement. Prof. Dahl has worked in Theoretical Inorganic and in Theoretical Chemistry, he is the author of many papers, books, and articles in books. Photo at right from Dahl's Faculty Page. J.P. Dahl : Quantum Chemistry, Fundamentals, 1996. Forword (in Danish). J.P. Dahl : Introduction to the Quantum World of Atoms and Molecules, 2001 (in English). "This invaluable book provides a balanced and integrated introduction to the quantum world of atoms and molecules. The underlying basis of quantum mechanics is carefully developed, with respect to the historical tradition from a molecular angle. The fundamental concepts in the theory of atomic and molecular structure are thoroughly discussed, as are the central techniques needed in quantum chemical applications. Special attention is paid to exposing and clarifing the common ground of Hartree-Fock theory and density-functional theory. Throughout the text, the discussion is pedagogically obliging and aims at simplicity and mathematical clarity, while avoiding the use of advanced mathematics. End-of chapter problems supplement the main text." This website agrees with this description -> a book from a chemist for chemists (after all, most chemists are concerned with substances, although some (fortunately) tend to be inclined to more theoretical concepts! Another way to use this book would be to make it a basis for a surveying pre-course of the type "What you have to expect and watch out for in your quantum chemistry." Because it's also a polite and friendly book, with a low frustrating level, which aims at the young student. And then it is cut into 21 pages, 80 KB average, at this place ...... here. A: How did you get to chemistry, what directed you towards it? D: Well, why do you start studying chemistry? This is a very difficult question to answer, but I had a good chemistry teacher in the gymnasium (High School). And so, when I decided to go and study at the Technical Highschool of Denmark, now the Technical University of Denmark, I thought that chemistry would be the field for me. And that was doubtless OK.
A: Was that chemical engineering? D: Yes, but you received a fairly broad chemical education, and you did not have to specialize until the last part of your study. I specialized in technical biochemistry which I found quite interesting. The major project given to me was to extract starch from potatoes and separate it into its constituents, amylose and amylopectin, and then to design a chemical plant built on this process. But earlier in you studies, it was also required that you participate in a smaller research project in basic chemistry. Here, I chose physical chemistry. The Department of Physical Chemistry really belonged to the University of Copenhagen, but its professor and lectures also taught at the Technical Highschool. 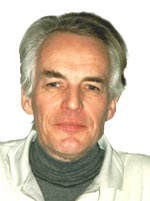 I was associated with a very competent lecturer by the name of Jørgen Koefoed, with whom I worked on some molecules which were very long, polymers in fact. We studied the flow properties of solutions of these molecules, measuring what we called flow elasticity, and we built an apparatus to measure it. This was probably the first theoretical work I did, and my first encounter with Bessel functions. D: In chemical engineering, yes. At the Technical Highschool. A: How old were you then? D: Well, that was in 1959. So I was almost 25 years old. A: The mathematical training in those days is an important aspect about which I am always asking quantum chemists. What mathematical training did you have? D: Very little, I must say. This was very elementary mathematics. We did have to learn a little about matrices and matrix theory, but not very much, and very little about differential equations and so on. So it was a quite poor mathematical education, by today's standards certainly. But I was myself mathematically inclined, and quite early did I become interested in quantum mechanics. So while I was still studying for my master's, I would often sit down at night after having prepared myself for the next day, and go through the mathematics books which the students of mechanical and electrical engineering used. They were very good textbooks, written by Harald Bohr, a brother of Niels Bohr, together with A. F. Andersen and Richard Petersen. I systematically worked through those volumes, and so I learned the mathematics essentially by myself. A: And then, as you said on your video conversation, you switched to Ballhausen. That meant that you switched from the Technical Highschool to the University? D: Well, not quite. For as I said, the Department of Physical Chemistry served both the University and the Technical Highschool. So, actually my Ph.D. degree was a degree at the Technical Highschool, but the work was carried out at this University department. This was a good tradition which we had in Denmark at the time, that several professors of chemistry taught both at the University and at the Technical Highschool. A: Was there much competition, like in Germany, between Technical Highschools and Universities? D: Oh yeah, but that came, I would say, a little later. There was not so much at the time. Well, they used to say that if you wanted to study chemistry you should go to the Technical Highschool. And there was the quite popular saying that if you met a chemist who had his master's from the University, you should ask him: "Are you a true chemist?" A true chemist was a person who could have become a student at the Technical Highschool, for you could always get enrolled at the University, but not at the Technical Highschool; you needed quite good marks to get there. So it was alright for you to study chemistry at the University, but only if you had in fact been able to go to the Technical Highschool. 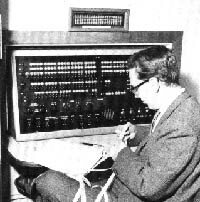 A: It was 1961 when you had your first paper, with Ballhausen. You have any anecdotes or any personal recollections about that time? A: Or something a student might think about difficulties or overcoming difficulties when you did that work. I mean, you sat down and started to work at that. Of course there were many hindrances. You came to a point where at a sudden you found that to go beyond, you had to study something. D: Yes, there were many instants where I had to sit down and study and think in order to proceed. Often that would have to do with the properties of the Hartree-Fock equations or the evaluation of two-electron integrals. As mentioned on the video conversation, it was a great help when Barnett and Coulson put some basic integral tables at my disposal. However, the tables had to be extended for my purpose. It was an interesting, but also a frightening experience to do this. I used an electric calculator which Ballhausen had acquired. It could calculate with ten significant figures. So, I started extending the tables, but I only kept track of six significant figures. Now, everyone who knows about Bessel functions also knows that recursion relations will often kill significant figures, and I made heavy use of such recursion relations. So when I came to the final numbers, I had lost most of the significant figures, and I had to start all over again. It took about three weeks, I believe, to regenerate the results. A: Was it an electromechanical calculator? D: Yes, and it could perform additions, subtractions, multiplications and divisions. But when you needed a square root, you would have to generate it by an iterative procedure. Later I got a Friden electronic calculator, on which you could work just like you work on a typewriter. It had the property that it could extract square roots which was a great thing but, of course, cosines and so on it couldn't do - but a square root! Photo and © taken from here. D: Then I served for two years in the Danish Navy, and in 1963 I became a postdoc with Professor John C. Slater at MIT. The background for going to Slater's group was, of course, that I had become interested in doing good calculations, as good as I could, so that was the centre to go to. When I came there, I first worked with Michael Barnett and his molecular people. But I was also very interested in group theory. I had used the group theory of molecular point groups in my Ph.D. work, and now I became interested in the group theory of solids and the construction of irreducible representations of space groups that was being done by Slater at that time. So, I switched over and did an electronic structure calculation of cuprous oxide, Cu2O, which was an interesting compound from several points of view. It had, for instance, an interesting exciton spectrum. This was one of the reasons for choosing it, and it led later to some collaboration with Professor Nikitine in Strassbourg, who had been measuring exciton spectra to a great extent. A: And at MIT you worked with electronic computers? D: Yes, there I used electronic computers, an IBM 709 I believe it was. Maybe we had a 7090 at the end, I think. Watch the full tape roll in the left hand. Photo and © taken from here. D: No, that was with cards. But as I said, after I got my Ph.D. I spent two years with the Navy. During my second year, I carried the rank of lieutenant and was asked to work at the computer DASK, doing calculations on mine sweeping and torpedo trajectories. The Danish Navy had, in part, paid for this first Danish computer called DASK which was placed on the ground floor of a villa belonging to Carlsberg, it sort of filled this whole ground floor. It was based on tubes of course. And there you had to use paper tapes with only five holes across. It was produced on a so-called Flexowriter, and you had to type correctly to punch the holes. You also had to press all the buttons on the computer yourself. A: And once the tape broke, you had to retype? D: No, you could cover the mispunched holes with adhesive tape and then manually punch some new holes. That was possible. So, first I had an electric calculator, then I worked with this pioneer-type computer, and then at MIT, of course, with more advanced computers. A: What programming languages were those. FORTRAN? A: That must have been FORTRAN II. And then Slater's group - what do you think of the Xα-method. I heard different opinions about this? D: Well, I always loved that method. I know its great limitations, but it was amazing what you could do with it in those days. You could not get through any serious solid-state calculation without using it, because treating exchange properly was impossible. And, so I think, a lot of good work was done with the Xα-method. And even today, when we talk about density functional methods and look at some of the best exchange energy densities that you can construct by parameterisation and so on, the Xα-density compares fairly well with those. A: And it is not just that the errors cancel themselves? D: No, I don't think so, but there is probably always some cancellation of errors. I mean, it was not an exact theory, but it was a very good theory, based on a sound approach, although Slater's original derivation was somewhat incorrect - well, that's sort of a technical question - he had started from the Hartree-Fock equations instead of the expression for the total energy, so there was something with a factor 2/3 as shown by Kohn and his people. And Slater was not too proud of this. A: Which people did you meet in Slater's group? 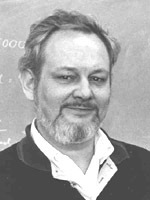 D: Well, besides Slater there was Koster, George Koster, who had published tables of the irreducible representations of the 32 crystallographic point groups and written a very fine review on the irreducible representations of space groups. He was a very good group theoretician, and I valued him highly. Then there was Michael Barnett, from Coulson's group, whom Slater had brought in to build up a group for molecular electronic structure calculations. And there were some very good people working with him, Brian Sutcliffe who came from McWeeny's group, and Jules Moskowitz who, I think, was educated in Slater's group. There were Malcolm Harrison, also from England, and Imre Czismadia, and a couple of others. So this was a good and solid group, doing good ab initio calculations on, for instance, the water molecule and the ethylene molecule. A: Now, how did that interaction in the Slater group happen? Were you left alone by yourself, or were there seminars and group discussions? 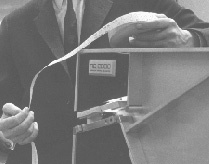 D: Now, of course, the group consisted of the molecular people, but then also of the solid-state people, where besides Koster the most prominent persons were John Wood and Al Switendick, with whom I worked much and who had created efficient computer programs for energy-band calculations based on Slater's augmented plane wave method. So, there were those two groups that were somewhat separate, but then every week there was a joint Wednesday morning seminar at 9 o'clock where we came together and Slater would tell a little about what had been going on in general. He would then ask one of us to discuss our work, and we would never know who it would be - and these were very good seminars, I think. But otherwise, Slater was already a somewhat old man at the time. He would come in at 9 o'clock in the morning and sit down at his typewriter and start typing his books, and do this for most of the day - he did this very consistently. A: Three, four volumes I think he published. D: Yes, this is true. There are two volumes about atoms, and there is one on molecules, and one on solids as well. D: Yeah, it did. You got inspired, of course, by just listening to Slater. But also you were always sitting two or three together in a room, so you could have a lot of discussions about your work with colleagues and students. A: Yes, so is it always, because young students might want to know this and seminars are important. And then you went back to Denmark, to Copenhagen, and became a professor there. his faculty page. D: Well, some years later, I must say. D: Well, when I came to the Technical Highschool in 1972 as a professor this was a new chair, although I had already served as an external lecturer for about three years before that. I had been giving lectures in quantum chemistry. And those were quite popular lectures. The students liked them and they thought this was no more difficult than physical chemistry when you came down to it. Soon, I could accept a couple of students as Ph.D. students, and one of my coworkers at the University, Helge Johansen, joined me as a lecturer. During the years, we supervised several students together. And we always worked on our theoretical ideas and our theoretical projects. We did calculations and we studied group theory and various aspects of quantum chemistry. We were not in any way asked to concentrate on problems related to technical chemistry. Perhaps we should have paid more attention to such problems, but we didn't do it, although we did have a single Ph.D. project in homogeneous catalysis, in collaboration with the Department of Technical Chemistry. We also had some interaction with other chemists at the Technical Highschool, but the emphasis was not on technical chemistry as such. A: I believe, in that time you mentioned before, persons like Linderberg I think worked the way top down; you know, you start with a high theory and then … And it's no more difficult than physical chemistry if one presents it properly. D: No, physical chemistry is a difficult subject (laughs). Entropy and everything. 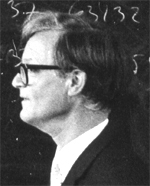 A: Ok, in 1963 there came out a paper by Dahl and Hansen: "Aromatic character of some 10-pi electron systems". D: Yeah, Aage Hansen also became a Ph.D. student of Ballhausen. But at this time he was working for his master's degree. He later worked much together with Al Moscowitz on optical activity. He shared the room with me for some time while I was a Ph.D. student, and he was interested in these p-electron systems. So while I worked at DASK during my time with the Navy, I did some semiempirical calculations on these molecules - and also on the pyrrole molecule - on the DASK by means of some ALGOL programs. But this was essentially Aage Hansen's idea, and I just did some of the calculations. A: Are there any ALGOL programs still around? Many say "No, I don't have any old programs". I would really like to put in some of those old programs. D: Oh, yes, I still have some ALGOL programs in my files, and I should be able to find something. A: And then you did in 1968 something on using crystal potentials with the permanganate ion in Dahl and Johansen. D: Yes, the permanganate ion was sort of a pet molecule in Ballhausen's group because it has no d-electrons, and of course crystal field theory and ligand field theory were theories of d-electrons, or d-orbitals - to see first how you could describe a transition-metal complex by means of crystal fields, and next how you could replace a crystal field with a ligand field. But a permanganate ion is a d-zero system, with no d-electrons. So the interesting transitions, electronic transitions, are charge transfer transitions. And we were much interested in giving a good description of the transitions in the permanganate ion. Of course this turned out to be also quite complicated, so I did some semiquantitative Hartree-Fock calculations with Helge Johansen, as you correctly mentioned, in which we systematically varied the basis set and also simulated the influence of nearby cations. We also studied other tetrahedral transition metal ions in a similar way. Helge Johansen maintained his interest in the permanganate ion and later, at the Technical Highschool, he did some ever more exact ab initio calculations, in which he also included the effects of the surrounding crystalline field in a quite exact way. Because a free, doubly charged permanganate ion cannot exist it is necessary to stabilize it by a positive potential. So this was done. A: And then, in the "Advances in Quantum Chemistry", came this big article on molecular orbital theories of inorganic complexes. Did they approach you? his faculty page. D: Well, they approached of course Ballhausen, because he was the senior person. So he came to me and said: "I have this invitation, and I would be happy if we could work on it together". So I started working on it and so I actually wrote most of it. But then, when I came to the permanganate ion I said: "Well, I think you should write this". "Of course", he said, and he went on and wrote it. But as it is, as a younger person I was the one who did most of the work. But I think we did reasonably well, at the time at least. D: Oh yes, that was the work done together with Ray Dingle and Martin Vala. What we had here were square planar ions stacked on top of each other in a crystalline surrounding, but with successive ions rotated with respect to each other about the four-fold axis, with the angle of rotation depending upon the cations in the crystal. The centre of the absorption band associated with the weak electronic transition that we studied was highly dependent on this angle of rotation, and we were able to account for the details of this dependence by means of perturbation theory, and at the same time we could verify that the polarisation of the transition was that of a magnetic dipole transition. Yes, this was an interesting piece of work. A: And now comes the big question, the big jump and what happened in between: In 1968 you did some fundamental work on the relativistic Kepler problem, then in 1977 on the spinning electron, and in the nineteen eighties you switched into phase space. What made you leave the fields of classical inorganic MO theory and made you go into this theoretical area? D: Let me put it this way: I never completely left the fields of MO theory, because I always had Ph.D. students who worked on transition metal compounds, on symmetry and on electron-electron correlation. For instance, Irene Shim and I became interested in studying the diatomic nickel molecule, Ni2, to see what is Ni2, how is that built up as a sort of precursor for the Ni crystal . This was work we did in the seventies, because it was not really known how you come from one atom to two atoms and so on, over mesoscopic systems to crystals, a theoretical process that has been much studied by several groups later. For Irene Shim, the work on Ni2 became the beginning of a long series of papers on diatomic molecules built of metal atoms. his faculty page. I would also like to mention the extensive work on electronic structure and the permutation group and unitary groups, done in the nineteen seventies and later by Sten Rettrup and C. R. Sarma, and also the fine work on Coulomb and Fermi correlation by Xuejun Feng. But it is true, I always had an inclination to become interested in quantum mechanics basically, an inclination to look at things from different angles and to find alternatives to things, to the way you look at a problem, because quantum mechanics is a rich and very complicated theory. You look and consider wave functions in position space and wave functions in momentum space, but you have to sort of combine these two pictures into a single mental picture in order to understand the correlation between momentum and position. And then, as I mentioned, I was always interested in symmetry. So, of course, I was also interested in the symmetry of the hydrogen atom, and I cultivated this interest at the same time as I did electronic structure calculations, already while I worked in Ballhausen's group. Ballhausen, of course, was aware of this and supported me when I started to study the Kepler problem and spin problem and so on. Let me remind you of the nature of the special symmetry associated with the Kepler problem: For any atom the three 2p-orbitals are degenerate, and so are the five 3d-orbitals. This degeneracy has to do with the three-dimensional rotation group. The five 3d-orbitals are transformed into linear combinations of each other under rotations, and so are the three 2p-orbitals. This is the reason for the degeneracies of five and three, respectively. But in the hydrogen atom we have an additional degeneracy. Here we find that the 2s- and 2p-orbitals have the same energy; the degeneracy is four. Similarly, the 3s-, 3p-and 3d-orbitals have the same energy; the degeneracy is nine. It was well known that these higher degeneracies could be described by introducing a suitable four-dimensional rotation group, and that there was an extra constant of the motion besides the angular-momentum vector. This vector is called the Runge-Lenz vector. It is also a constant of the motion in classical mechanics, and this is the reason why the earth's orbit around the sun is a closed orbit, and why all years have the same length, and Christmas falls at the same time every year. What I succeeded in doing was to connect this symmetry with the symmetry group of relativistic mechanics, the so-called Lorentz group, by performing a Lorentz transformation of the hydrogen atom while treating it as a proper two-particle system. So, this was the central atom of chemistry and physics, the hydrogen atom, and I felt that as a quantum chemist I ought to understand it at as deep a level as possible. So, I did this by studying its symmetry. Later I also went to the Dirac equation and found - this was many years later - how the symmetry of the relativistic Kepler problem could be described by a global supersymmetry and how this symmetry connected with the symmetry of the non-relativisitc theory. A: That it took some time, was that a problem of mathematics or of …? D: No, it was just a problem of understanding and not having worked with it for some years. But then I took it up together with one of my students by the name of Thomas Jørgensen. So we did this together, and Thomas made important contributions. Let me just mention that I also spent much time over the years understanding the nature of the electron's spin, and that I succeeded - this was in 1977 - in setting up a model of spin, a proper relativistic model by considering the electron as a three-dimensional rotor described by Euler angles, as we know them from the description of rotations in polyatomic molecules. So, I attached a three-dimensional coordinate system to the electron and subjected it to external and internal rotations. The generators of these rotations were the basic operators of the theory, and I showed how they uniquely define the Hamiltonian of a Dirac particle, by requiring the description to be invariant under the inhomogeneous Lorentz group. This was very satisfactory to me. I use to say that it shows that a Dirac particle is neither more nor less than a particle for which it is possible to talk about an orientation in space - a direction in space as described by a single axis is not enough, you need an orientation in space as described by an attached set of three perpendicular axes. A: But you never required a beginning student to understand all of this. D: No, of course not. A: If I look at your recent book, it's in a very classical way. And in advanced courses would you then bring those things, you know, like a second course in quantum chemistry? D: In some of those things I gave second courses, but not very many. Mostly in the phase space theory of quantum mechanics - which I also entered by the road of symmetry, because it can be formulated in terms of symmetries. A: Let me now go back to the earlier years. There were other people working with ligand fields and molecular orbital theory of inorganic complexes - there was Orgel who left the field then, and there was Klixbüll Jørgensen. Is Jørgensen still alive? As far as I know, he was very sick. D: No, he died a couple of years ago. A: How do you recall Klixbüll Jørgensen? 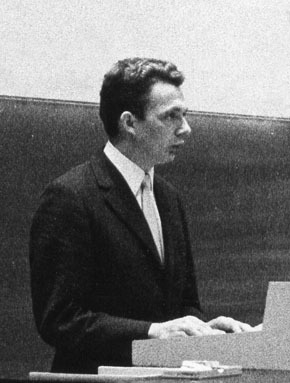 D: Yes, Klixbüll Jørgensen was also at the University at the same time in the late 50s and during the 50s, and he of course also did quantum chemistry. He and Ballhausen also did some work together. But this did not work out very well, and the reason is easy to understand, because Ballhausen is, like myself for instance, mathematically inclined, but the way Klixbüll worked was by the way of memory. He had a fantastic memory, he could sort of read an article, and then he could remember almost everything. And by some routes that we never understood he combined all that he knew and came to some conclusions which were often very bright and good. Sometimes, of course, they were not quite as good. But he was a fantastic person. A: How could he work so freely at the Cyanamid Corporation and at the same time publish quite a few things? D: No, I am afraid I cannot answer this. 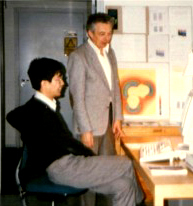 The proper person to ask about Klixbüll would be Schäffer, Claus Schäffer. He also did some theoretical inorganic chemistry. A: Yes, he also wrote a book about ligand field theory. D: No, this was Schläfer, Hans Schläfer, together with Günter Gliemann. No, Schäffer wrote about the angular oerlap model, alone and together with Klixbüll Jørgensen. They worked much together on this field. He has retired now. He worked at the University of Copenhagen, and I think that if you write to Department of Chemistry at Universitetsparken 5, DK-2100 Copenhagen, then you could get in contact with him. A: Then there was Griffith. He published a lot and all at a sudden he disappeared, it seems, from the field. D: Yes, but I am sorry, I cannot tell you much about this. But there was also a group around Fenske, in the US, who did a lot of calculations on inorganic complexes. This must have been also during the 60s. A: How did it come that you took the step to this theoretical field? D: Well, as I already said, I became interested in quantum mechanics already as a student. I was a student of chemistry, and I tried to understand what a chemical bond was. In my early attempts to understand the chemical bond, I noticed that Wheland's textbook in organic chemistry had a chapter on Hückel theory at the end. I remember looking at this chapter with great interest, and then I went up to my instructor, who later became a professor of organic chemistry, and said: "What do you think of this?" His answer: "That cannot be used for anything". Later, I have teased him with this remark, but I think he still has the same attitude. But this was where I first met Hückel theory. I also bought a copy of Coulson's Valence which I seriously tried to understand. Things like this initiated my interest in quantum mechanics. So therefore I also followed a single course in quantum mechanics at the Technical Highschool, given by a physics professor, Asger Nielsen, but I did not know sufficient mathematics to benefit much from his lectures. That started my night study of mathematics that I mentioned earlier, and gradually I came to understand more and more. So when I got the opportunity to do a Ph.D. in quantum chemistry I gladly seized it. A: Well, Prof. Dahl, that was a very nice conversation we had about quantum chemistry, and I t hank you very much for spending some time with us giving us some of your recollections. Thank you. Copyright © May 15, 2002 by U. Anders, Ph.D.